We arrived from a slightly delayed (but comfortable) Easyjet flight, to be welcomed with a lovely glass of bubbly and ice cold face towel. 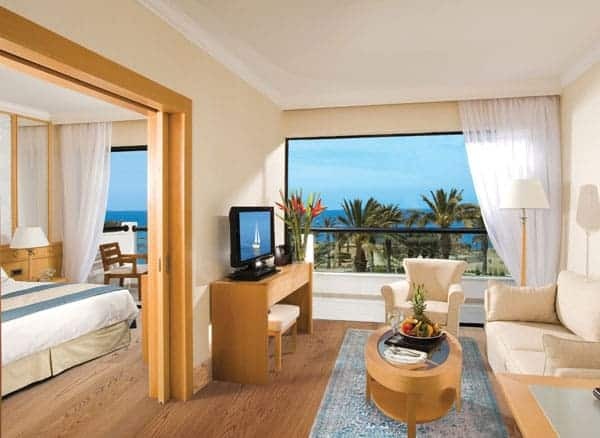 We were quickly given our room key, our room was located on the 4th floor, it was an extremely spacious & comfortable one bedroom suite with Sea view & balcony. The property is adults only, in a quiet location, about a half hour walk from Paphos castle, with spacious pool/gardens leading down to the small beach & promenade. We generally ate in the Estia restaurant, for breakfast and dinner, it is a buffet style restaurant with a great & varied selection each day. One evening was a themed Mezze night, with tasting dishes to try all the local flavours, entertained by energetic Cypriot Bouzouki music & dancers. 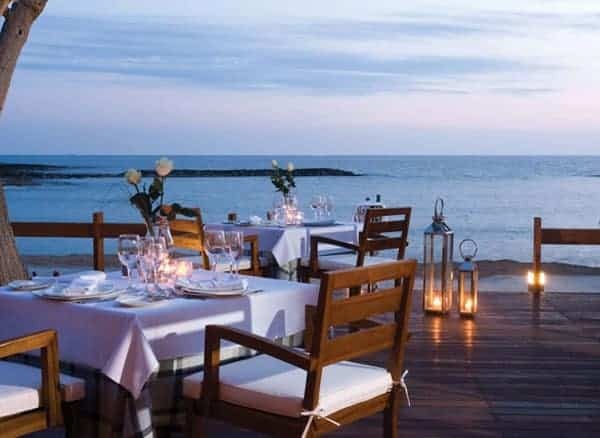 For a longer stay, there is also dining in the Kymata A la carte restaurant & even Pier dining for a romantic dinner for two…. The weather wasn’t brilliant, so we didn’t get a chance to do this. We did, however, manage to use the indoor pool, there’s also a well equipped gym & Elixir Spa in the hotel. 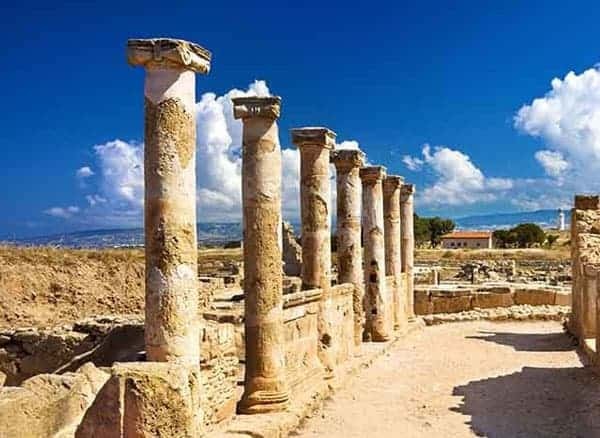 One afternoon we took a stroll along the long promenade, heading down to Paphos castle, around the lighthouse, roman ruins and their famous mosaics… It took about 3hrs to walk there and back, a lovely way to spend the afternoon and we managed to dodge the rain! It was early in the season, so not particularly busy yet, but the waterfront restaurants & bars were gearing themselves up for the summer season. A return visit is on the list, especially to have the opportunity to explore the island. The Asimina Suites, is a stunning, comfortable and luxurious place to use as a base. I would definitely return.